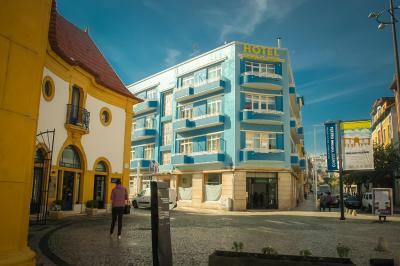 Lock in a great price for Hotel Leiria Classic – rated 8.6 by recent guests! Good central location next to old town below the castle. Restaurants on the same street. Parking on street or garage were nearby options. Good shower. Comfortable room. Great Art Deco vibe. The refurbishment of the property is really well done. 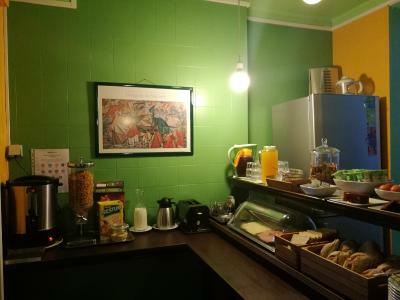 The breakfast room with a lounge and a bar for afternoon drinks is very stylish. The rooms are basic but big enough, the wifi is strong, the shower is plentiful, hot and consistent. Quiet and very little noise from the street. Even though our room faced the theatre across the road and there were people leaving at night we were not disturbed. Some previous reviews have complained about this place being too basic. I don’t agree. I think it’s a nice find, and for the price it is an absolute bargain. Breakfast is good! Dayshift front desk staff is friendly and helpful! 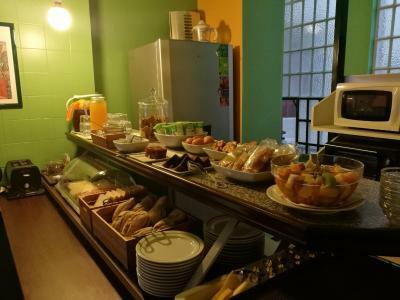 They have a good breakfast buffet, excellent location and great staff. Got what l paid for - clean and tidy, and great city location. lf you don't pay for the Ritz don't expect it. Mariana was absolutely great, helpful, positive and with good communication skills! She made the stay absolutely fantastic! Staff. Position. Easy parking ( public parking agreement with the hotel in order to pay a really convenient daily rate ). Silent room. Restaurants above the hotel. Loved the location and proximity to the town centre and the Moorish Castle. This is a beautiful art-deco building which has been lovingly maintained. 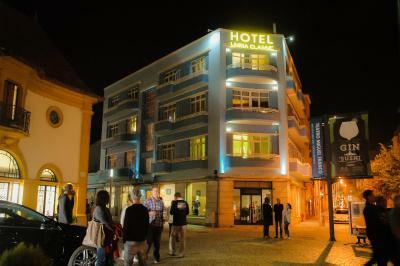 The hotel staff (Mr.João Sequeira) was so helpful with information about the town and recommendations for restaurants. It was an absolute pleasure to chat with him. We will definitely stay here again on our next trip to Leiria. We had a wonderful view from our little balcony. I appreciated the extra large shower cabin. The staff were there within moments when we needed them at the reception desk. 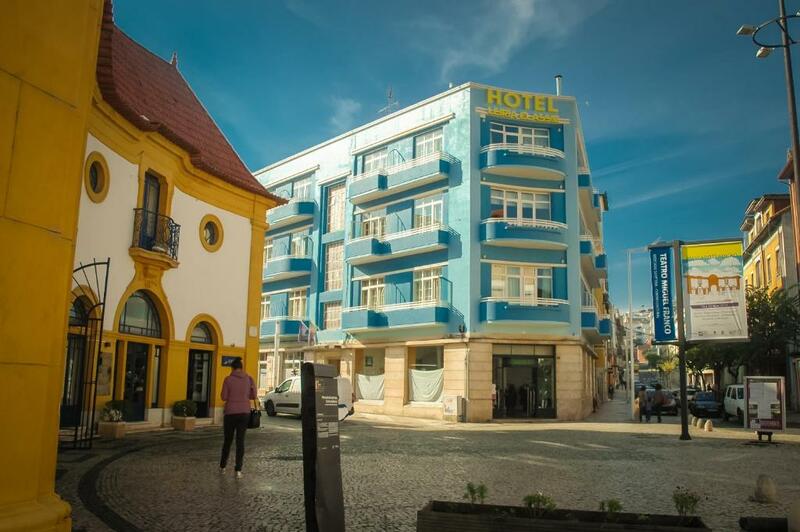 One of our top picks in Leiria.Located in the historic center of Leiria, this hotel provides air-conditioned rooms with a private balcony and LCD TV. A daily Mediterranean-style Continental breakfast is served as a buffet in the property's meal area. 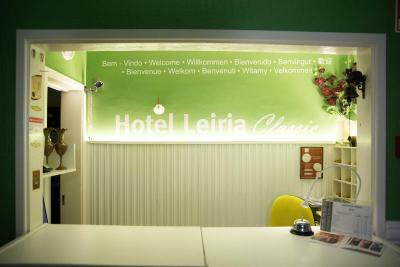 Decorated in green, all rooms at Hotel Leiria Classic come with wooden floors and simple furnishings. Each accommodations type offers heating, a telephone and work desk. 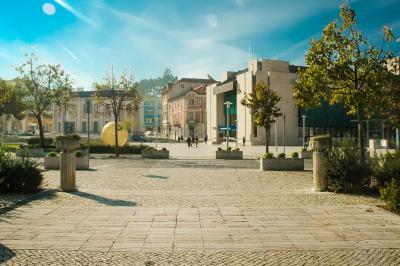 Restaurants and shops are located a 2-minute walk away from Hotel Leiria Classic. For drinks there is an on-site bar. The 24-hour reception staff can offer reduced parking prices at the Fonte Luminosa Car Park, 50 feet away. 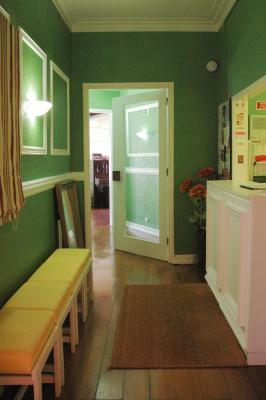 In addition, they offer free WiFi access in all public areas of the hotel. The Sanctuary Our Lady of Fatima is located 11 mi from the hotel. 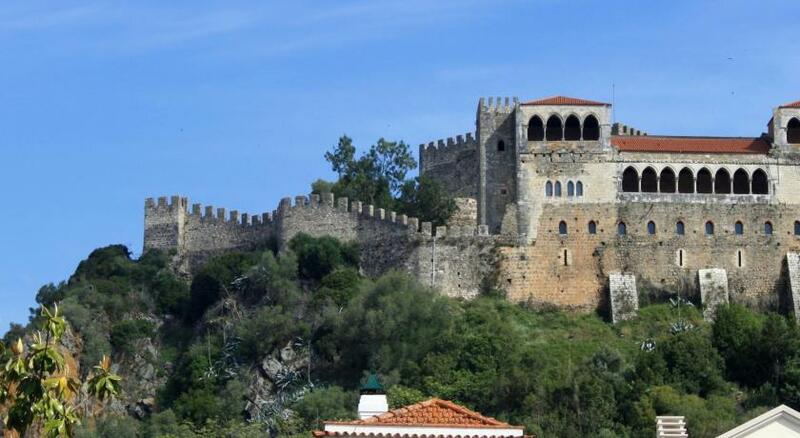 Leiria Castle and Leiria Train Station are a 15-minute walk away. Nazaré Beach is 25 mi away from the Hotel Leiria Classic. 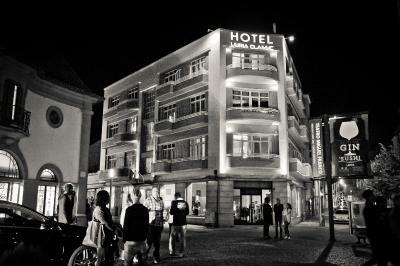 When would you like to stay at Hotel Leiria Classic? Offering a balcony, this room has a flat-screen satellite TV and desk. 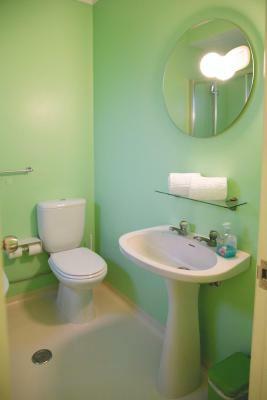 The private bathroom includes a bidet. With air conditioning, this room offers a balcony and comes with flat-screen cable TV and a desk. The private bathroom includes a bidet. This room comes a TV, desk and a private bathroom. Some also have a balcony. This single room features a balcony. 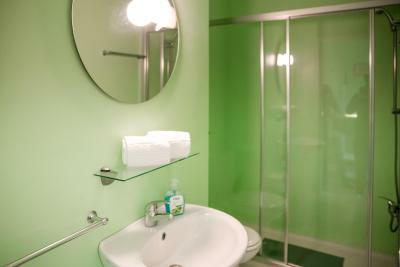 The private bathroom features a walk-in shower. This room has a balcony. 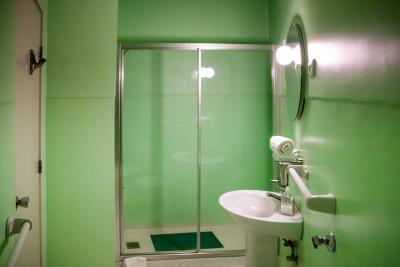 The private bathroom features a walk-in shower. This room features a balcony. The private bathroom features a walk-in shower. House Rules Hotel Leiria Classic takes special requests – add in the next step! Hotel Leiria Classic accepts these cards and reserves the right to temporarily hold an amount prior to arrival. Please note that parking costs EUR 5 per night (between 18.00 - 10.00). Staff Easy parking Restaurant And Marianna!!! Nothing to dislike. Be aware that reception is on the second floor and there is no lift. Not an issue for us, but if you have any mobility issues, children in a stroller etc, this may not be your preferred option. Not private parking and not elevator. Wrong to offer criticism - it should have basic needs bed and bath and be clean it had and was. Stairs!!! So many stairs for luggages and no supermarkets near by. At the moment, there is no elevator so heavy luggage could be an issue for some travelers. However, the hotel will be installing one by the end of the year. No elevator, checkin in on 3rd floor. Unusual building with sudden step down at the threshold to the room. Sitting on the toilet takes some skill to get between it and the shower. There were an awful lot of stairs, which would have been a problem for someone less able or with smaller children. We were asked to leave our key at reception when we went out, which was just an irritation. Our bedroom door was difficult to lock / unlock, and our bathroom door wouldn't close. Décor was a bit old fashioned but that's all. Location perfect a 5 min walk from bus station through the public garden.2 mins from main square and cafes.Next door to the best restaurant in town. Reception really nice and friendly. Room big and spacious with 2 balconies. The room was not noise proof and you could ear your neighbours. The bathroom door did not close and the rooms was outdated. It looks like the rooms in the first floor were reformed and better that the ones in the last floor. Good location, confortable beds and helpfull staff. The breakfast was ok.